Music in the City, Southampton’s premier live music event is back for its 9th year celebrating the wonderful diversity of musical talent from the Solent area.We are proud to offer our residents and visitors an opportunity to enjoy a FREE festival with a fantastic range of musical delights performed in some of the quirkiest places! 1.45pm Goldrush Harmony – great harmonies of CSN, Eagles, America. 2.30pm Jim Chorley – Acoustic/Folk singer-songwriter. 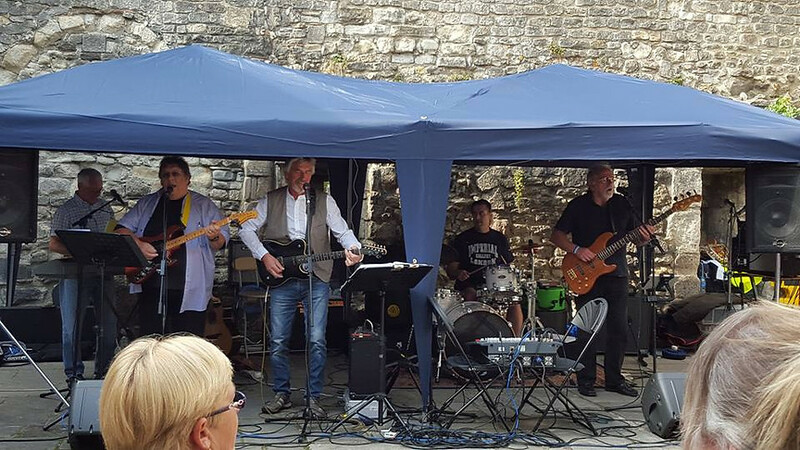 Music in the city (MITC) 2016 – King John’s Palace… TODAY!! Goldrush Harmony is a group of talented musicians with a wealth of experience, playing many styles of music over the years. They perform songs from the 60’s 70’s and 80’s including material from CSN, Eagles, Beatles, Ace, Dire Straits and many more popular artistes. Their harmonies and unique form of entertainment make them a success for any function or event. The project was initiated in 2009 by Linda Norris when she was a City Councillor, and is supported, by the City Council. 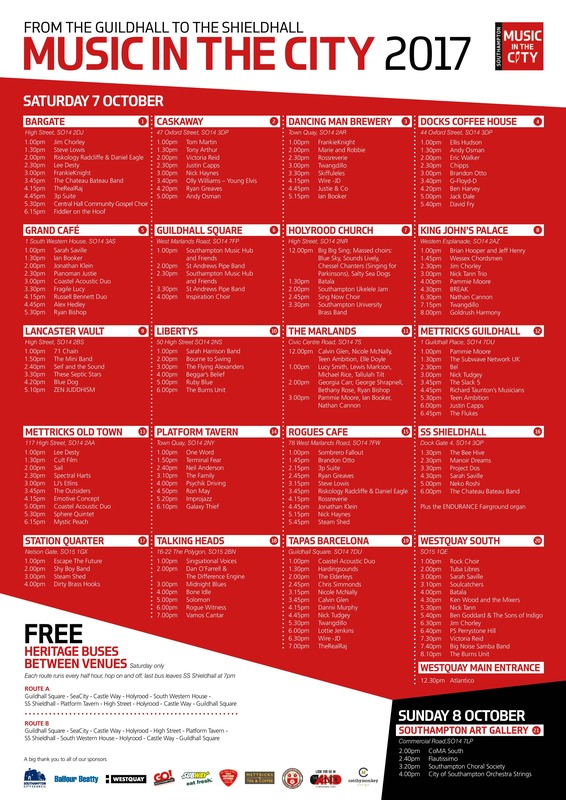 But there are people involved in Music in the City from many different organisations, venues, and musical genres. More people are joining up all the time. 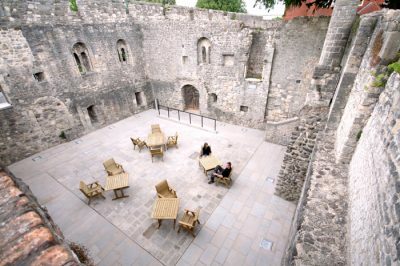 Music in the city (MITC) 2016 – King John’s Palace… Are you coming?